For centuries true believers have gone on long pilgrimages despite their physical and spiritual infirmities. In Japan, Shinto Buddhists still walk 190 miles between shrines and waterfalls spread throughout the Kii Mountains. In Northern Spain, grandmothers and muscle bound millennials have followed the centuries old footsteps of El Camino de Santiago through the Pyrenees. The common denominator on all religious pilgrimages is a faith in something bigger than yourself. We have found a modern pilgrim, Nick Claudio and he is coming with us to the top of Kilimanjaro next December. 9-year old Nick is a cancer survivor who didn’t let the brain cancer that took his eyesight dim his self-belief. Nick has found his higher power – it comes from within. On Dec. 29 Tusker is leading a Kilimanjaro charity climb to benefit Endure to Cure, the non-profit that has worked with Nick and his parents. The climb is open to anyone and all climbers are asked to raise funds to help the group, but there is no required amount that needs to be raised. All funds raised go to help children’s hospitals selected by each climber. 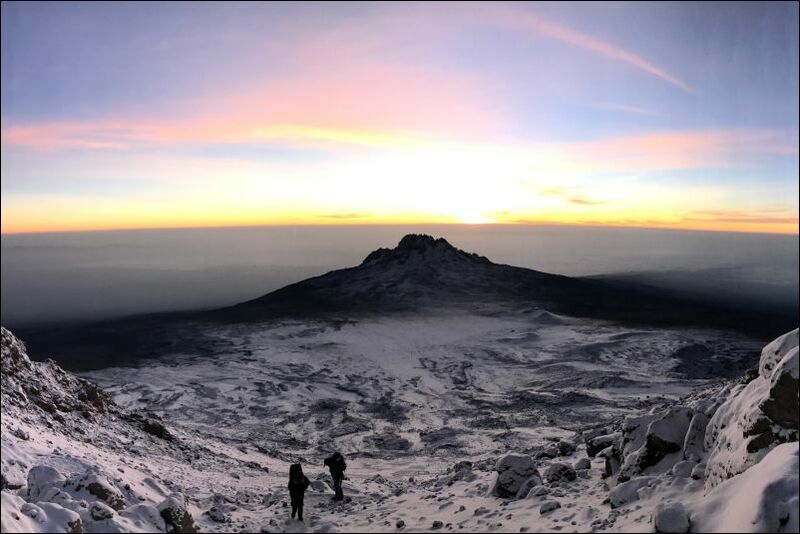 Over $13 million has been raised on Tusker Trail’s Kilimanjaro climbs since 2001 for nearly 80 foundations, but this will be the first with Endure to Cure whose founder, Jason Sissel, has been to the top of Kilimanjaro. While Nick was recovering from surgery, Jason brought Nick a rock from the top of Kilimanjaro and promised he would take him there once he had recovered. Nick didn’t just recover he has flourished as a blind child. Despite his blindness he has learned to downhill ski, won the starring role in his school play and has become a top student. Blindness is likely not going to stop Nick from going to the top of Kilimanjaro. If you ever doubted your ability to make it to the roof of Africa this might be the climb for you. Climbing Kilimanjaro is as much self-belief as it is physical prowess. You can train for months and still not summit either due to altitude sickness or the mental toughness needed to summit the self-doubts most of us share. Being part of a charity climb takes the mental onus off each of us and forces each climber to be part of a something bigger. Helping children and their family’s survive cancer is something much bigger. With Nick on the trip you will get the kind of spiritual lift that the ancient pilgrims and those following in their footsteps are seeking more than ever today. Nick’s climbing in December 2018. Here’s how to join Nick on his Kilimanjaro charity climb with Tusker Trail.